EDMONTON — Delegates to the Alberta School Board Association's fall meeting were blocked Monday from debating or voting on a proposal that the group help its members establish policies to protect students who identify as sexual or gender minorities. The motion from Edmonton Public Schools needed the support of just over 66 per cent of those attending to be accepted on the agenda. But enough boards — about 38 per cent — argued the issue wasn't prominent enough and voted against dealing with the motion. Michael Janz, chairman of the Edmonton board, said he was shocked that the proposal didn't get enough support to be discussed. "We think that our association, which holds itself to be the gold standard of education policy, should have a policy for sexual orientation and gender minority students,'' he said. The proposal called on the association to support all 61 public, Catholic and francophone school boards in establishing inclusive, safe and healthy learning and working environments for everyone, including the LGBTQ community. Janz had said research shows that sexual-minority youth experience more bullying, harassment and alienation than their heterosexual peers. Most of the 24 boards that voted against allowing the motion to come to the floor for debate were Catholic. Ralph Wohlgemuth, a trustee with the Grande Prairie Catholic School District, said the association already has a policy to protect students that doesn't specifically mention sexual or gender minorities. 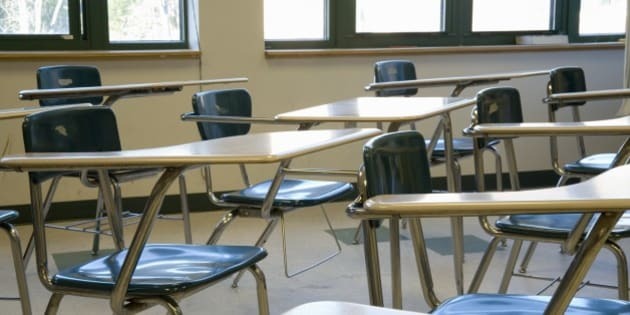 Earlier this month, Education Minister Dave Eggen sent a letter to school boards noting that provincial law requires boards to create a safe learning environment, including for LGBTQ students. He has given the boards until March 31 to provide draft policies to the ministry for review. Eggen said the association's refusal to debate the motion doesn't change the obligation of school boards to take action. He said the government is working with the association and with individual boards. "The ASBA has been stumbling the last few days ... and so I think they were not capable of standing together on much of anything right now,'' he said. Association president Helen Clease said she was disappointed the motion wasn't allowed to come forward. Currently, 13 of Alberta's publicly funded school divisions have some form of a policy. None is Catholic. Kris Wells, a University of Alberta expert on sexual minority issues, said it's time for the government to spell out what action it is prepared to take with school boards that refuse to establish an inclusive policy. Wells said he can't understand why some boards are reluctant to talk about it. "Why don't they see this as an issue that should be part of public discussion for a public Alberta School Boards Association?'' he asked.